Sportscast Australia was born out of a desire to change the game of online sports marketing. 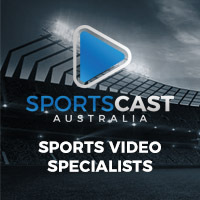 Combining innovative technology across broadcasting, video analysis, data tagging and streaming, Sportscast Australia delivers valuable benefits to all stakeholders at all levels across all sports. Sportscast Australia is proud to partner with Northern Football Netball League to deliver an industry leading match vision solution that provides benefits for all stakeholders.